Derech Eretz means: Decency, Common Sense, Courtesy, and even more. It is so fundamental to our lives that the sages said, "Derech Eretz preceded Torah." Walk the paths of Derech Eretz, and help Sicha to map its ways in a world desperately seeking good paths. Without Torah There Is No Derech Eretz. Without Derech Eretz There Is No Torah. Rabbi Elazar ben Azariah taught, "If there is no Torah, there is no derech eretz; if there is no derech eretz there is no Torah." In his time, this teaching was a plea for civility among the sages. 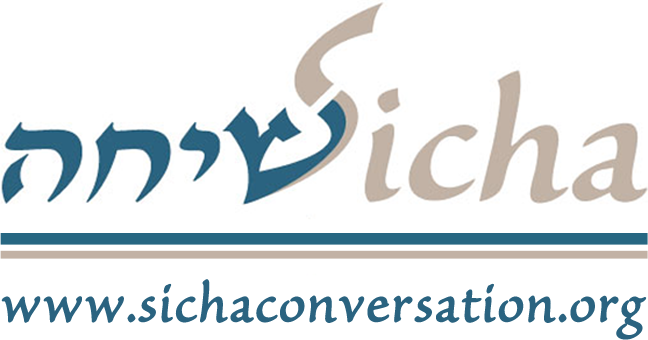 Everything was at stake... Join Sicha and enter the conversation that is both ancient and contemporary. Where There Is No Mentsch Strive To Be A Mentsch!